This is my anniversary gift to Jeff for 2 years. I LOVE YOU BABY! 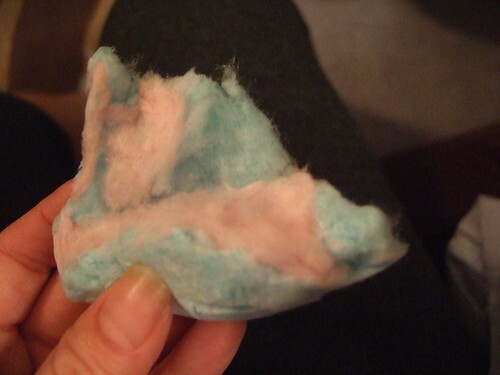 Mmm, cotton candy. Nice and sugary. Actually, we’re supposed to get a new quilt for our “cotton” anniversary, but haven’t been able to find any nice ones. If i were really the homemaker i would sew one… uh…. YEAH RIGHT. Dang, so really though, were do we get a nice non-cheesy quilt? Something kinda contemporary? We’re tired of down comforters that just puff up into one big ball on one end, then a bunch of empty sheet on the other end.